Good Monday morning to you! Thankfully we are getting a few smatterings of rain this morning. Not much but every bit helps. We have had a pretty dry summer here in southwest Michigan. Not quite as bad as some parts of the country, but it is the driest we have seen it in the ten years we have been here. 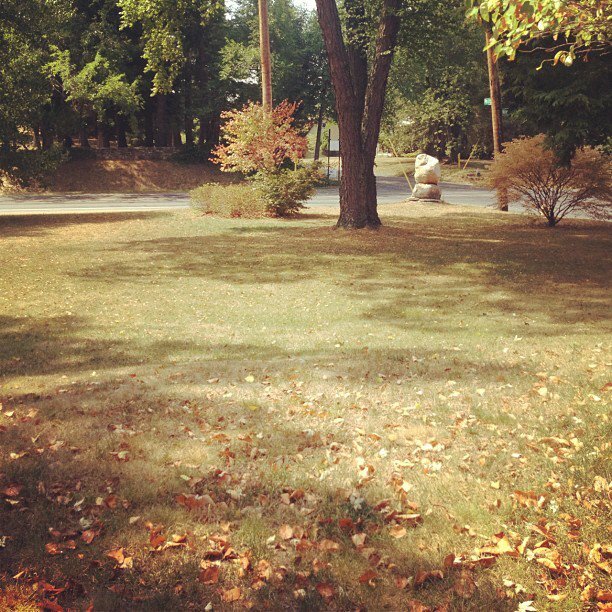 As a result, my yard is mostly brown and crunchy and some of my trees are losing their leaves. After several weeks of not doing so, I finally did mow Saturday – well actually I took my lawnmower out and mainly just knocked down the taller weeds, although we did have a few patches of grass. While I was pushing my mower around it struck me that at times my life looked like my yard. Lifeless and with weeds and it was for the same reason – a lack of nourishment, a lack of taking in what I needed to have a healthy and growing life. Do you ever feel that way – kind of dry and barren? Maybe the only thing you see growing in your life is weeds? By the way, that is something else that struck me, some things did grow in this time of drought – weeds. I noticed that about my life as well, when I was not taking in the things I needed, “weeds” or bad habits and negative perceptions did flourish in my life and were hard to root out. The thing is we have a choice – my poor yard does not. We can choose to “water” our lives, even if we are feeling dry and barren. So what are you doing to feed yourself to ensure what your life is producing is healthy and fruitful and with a minimum of weeds? The main thing you need is the Living Water to grow and flourish. So how is your walk with Jesus? Are you spending time in His Word? Are you drinking deeply of Him? If you are not taking in the Living Water, you will become dry and barren. ← Want to be More Productive? Go to Sleep!